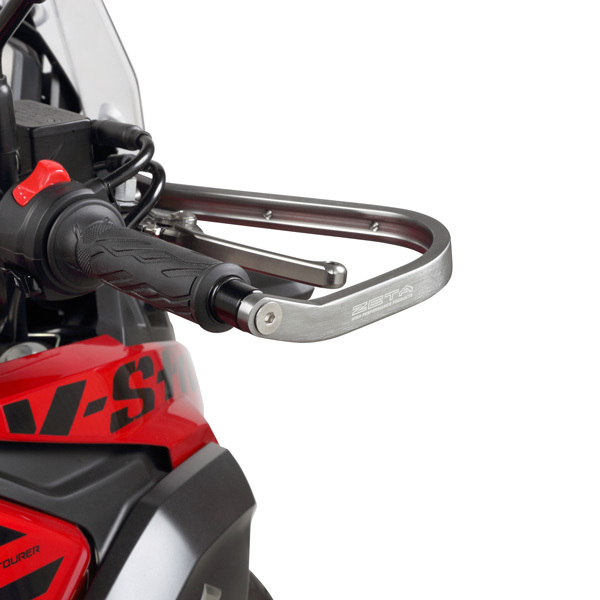 - High grade aluminum made handguard that fit large bending angle and short handlebar, especially adventure tourer bike and dual sport bike. 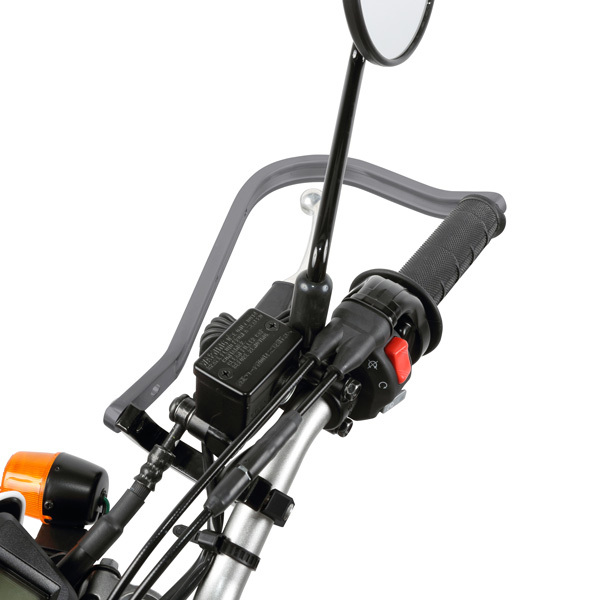 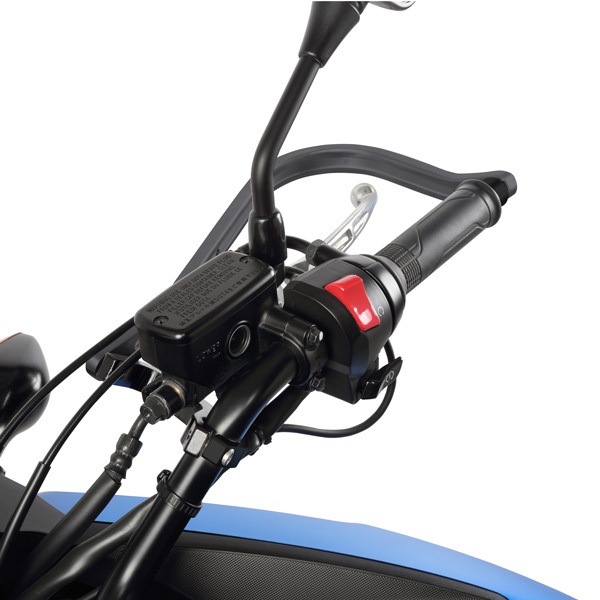 - The overall short length of the body reduces interference with the cowl / screen or meter, and a sellected flat head bolt on the connecting portion with the U-clamp further reduces interference with the screen. 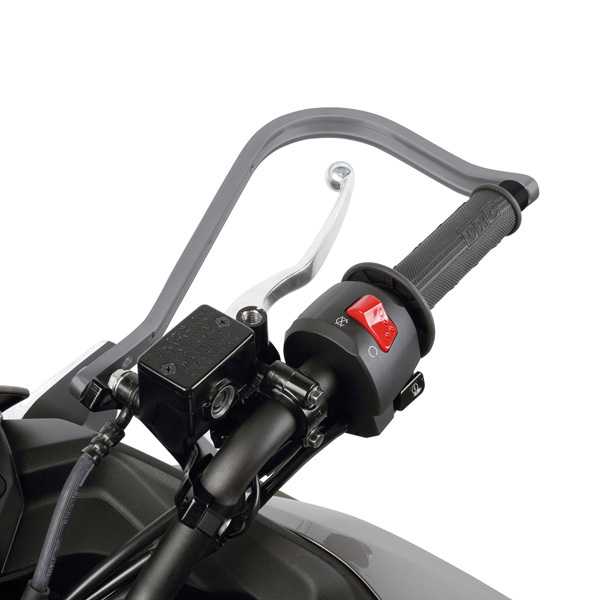 - Spacers are included to avoid interference with the end of the lever and to adjust the position of the guard body. 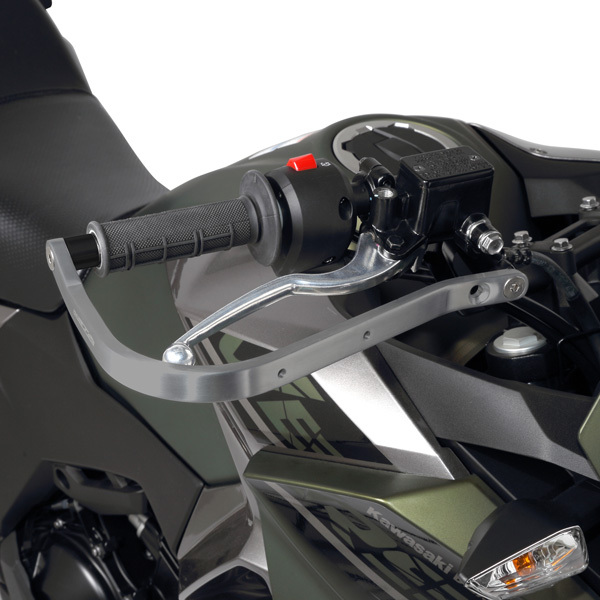 - All protectors for armor guards can be attached. 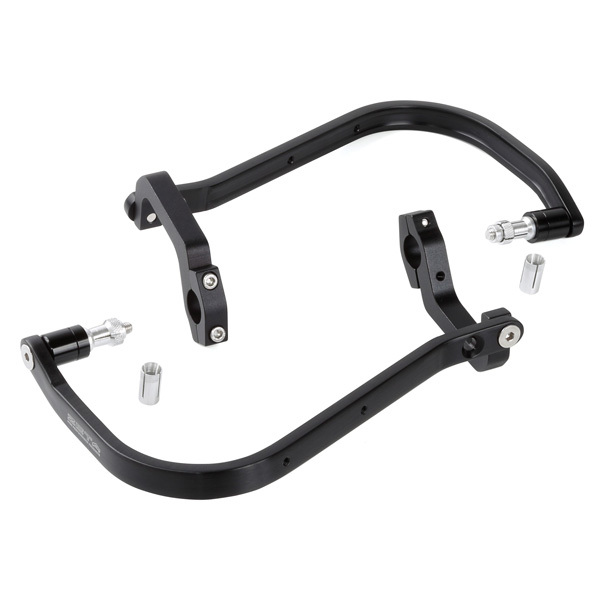 - Inner diameter 13.5 to 19mm for φ22.2mm Handlebar. 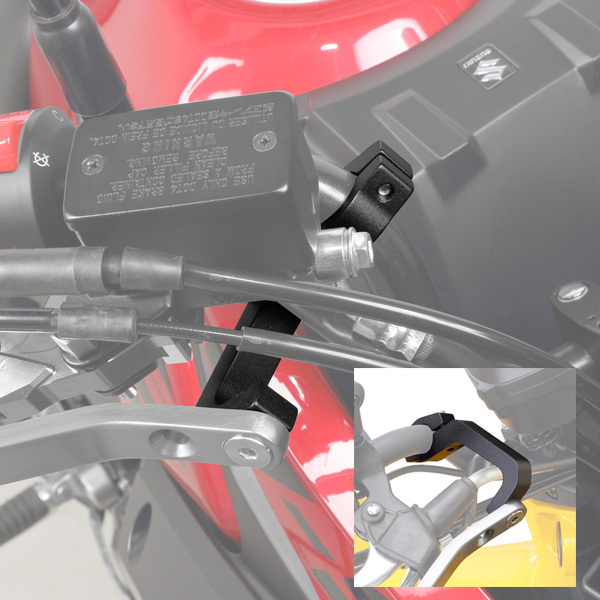 A long type U clamp is designed to largely avoid brake hoses, banjos and wires. 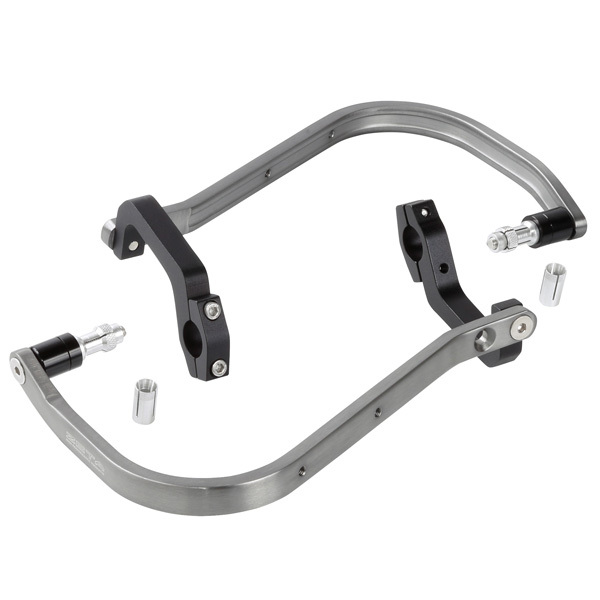 When mounting on a handlebar with braces, check for a U clamp mounting space. 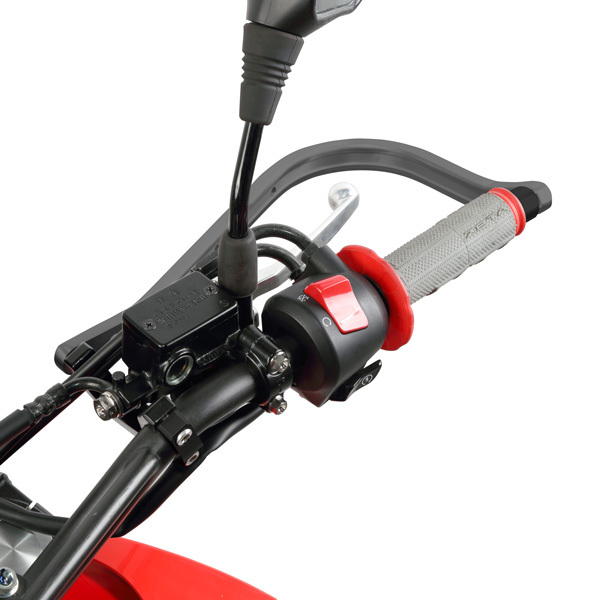 Two types of bar end spacers are included to prevent lever interference and to fine-adjust the installation. 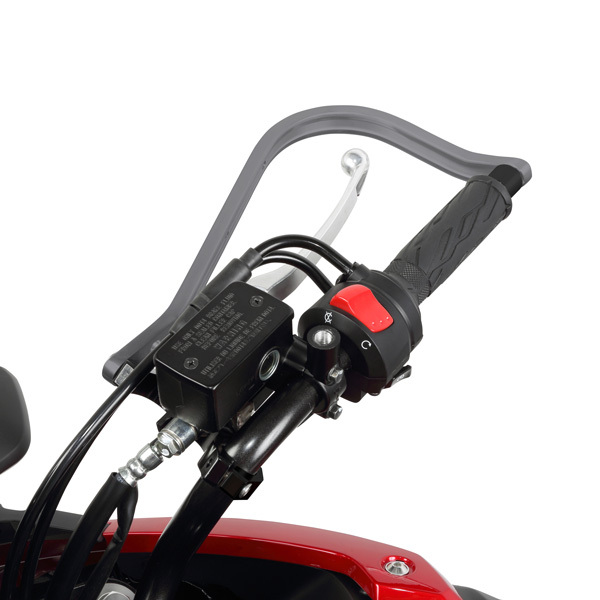 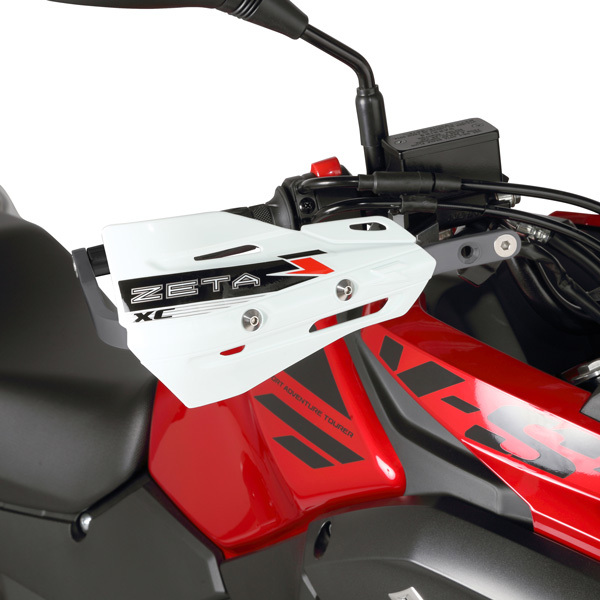 The spacers provide more space between guard and throttle and switch boxes. 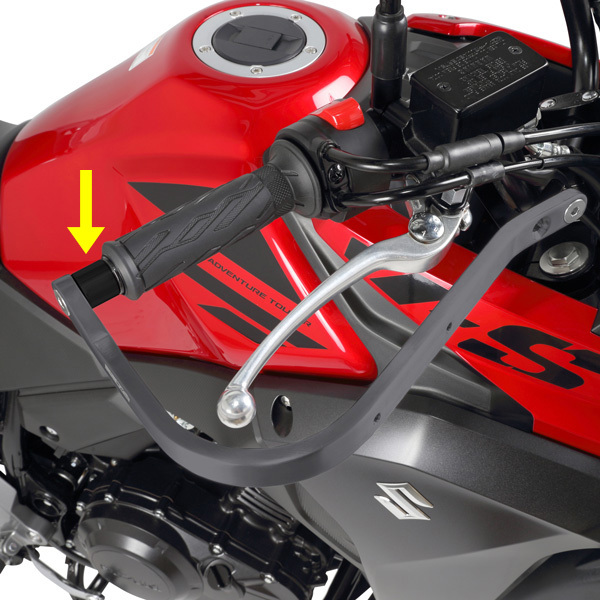 You do not need to re locate them on your handlebar, keep them at the stock position.